Recently, our veterans' disability benefits law firm won a very unusual case on behalf of a disabled veteran who was suffering from a very severe case of PTSD. In the early 1970's our client was stationed at one of the military bases for basic training. During his time at basic training he was assaulted by a group of 10 to 12 other men and beaten very severely. He was threatened that if he reported the incident they would kill him. This is not unusual for personal assault situations. As such, there was no documentation in the service medical records of any assault. Because our client never reported the incident, there were no official records in the personnel file. The veteran's PTSD became extremely severe in the years following service. Although he did the best he could to complete his tour of duty with relative excellent performance, after getting out of the service he could no longer sustain his life in any degree of normalcy. One night, in a startled fit of anger, he shot his wife in the neck. Although she initially survived, she ended up as a paraplegic and eventually died eight years after her gunshot wounds. Our client naturally spent a significant amount of time in prison for this crime. 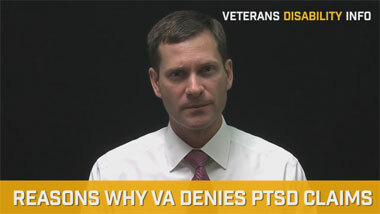 Nevertheless, VA continued to deny his claim for benefits due to PTSD. 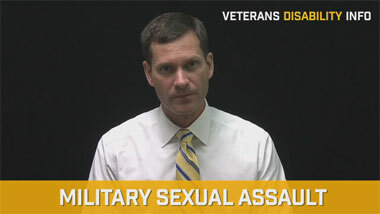 In most VA denials for PTSD associated with in-service personal assault or sexual trauma, the denial is based on the alleged absence of any indications corroborating that an assault took place. Remember, VA will not grant a claim for PTSD based on personal assault unless there is some other proof that the assault took place. The veteran's word alone will never suffice to prove the assault. That said, the regulations do provide for the usage of circumstantial evidence to establish that some kind of traumatic event took place. For example , if after the assault there is an immediate change in behavior, decline in work performance, break-up of primary relationships, onset of severe drug problems, going AWOL or some other change that would evidence a person experienced some kind of watershed event, then these can be considered "markers" of a PTSD stressor. Unfortunately, in some cases, these markers are not even there and this requires the excellent advocacy skills of a skilled veteran's disability lawyer. In our particular case, we found buried in the file a statement by the veteran indicating that he was hit in the face and the punches loosened his top teeth. He states that the teeth did not get knocked out initially but they were loosened and that they never really healed properly. Six to eight months later they had to be pulled. So, we looked at his dental records which were very difficult to decipher. It did appear that he had some dental decay but it also did appear that his top teeth were pulled. Accordingly, our disability benefits law firm retained the services of a dental expert from one of the major dental schools. This expert reviewed the dental records and concluded that the loss of his top front teeth could only have occurred as a result of trauma. It was further noted that those teeth were pulled as a result of trauma which in turn corroborated the veteran's story that his teeth were loosened and eventually had to be pulled. We argued that a punch to the mouth would be the type of event that could loosen one's front teeth. We also had our client evaluated by an expert forensic psychologist who confirmed the PTSD diagnosis and linked it to the assault during service. The result was that the VA granted service connection for PTSD as a result of the in-service assault. This case illustrates how many times winning these claims comes down to picking the right forensic medical experts. This case would have been lost had another advocate not been willing to advance the cost of retaining excellent experts to prove these elements of the claim. I recently had a conversation with a colleague from a larger law firm. 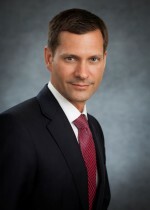 While their practice includes veterans’ disability benefits as well as a host of other practice areas, he told me that they generally do not advance costs for experts on cases. This means that a veteran would have to come up with the money out of his own pocket to pay an expert. 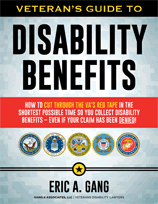 Most of these veterans are severely disabled and have not worked in quite some time. That means coming up with this kind of money presents a serious burden for the disabled veteran in prevailing against the VA. My colleague candidly admitted that our disability benefits law firm wins cases that his office does not simply because his firm will not hire the experts needed to win these claims. This particular case represents a prime example of aggressive representation of VA disability claims. Had we not retained the forensic experts, our client would never have won his PTSD disability benefits claim. This case also illustrates the need to look at all forms of potential evidence for hidden clues that an assault took place. The veteran's statement regarding his teeth, in conjunction with a careful review of his dental records, proved to be the winning formula in this particular case. As a veterans' disability lawyer I cannot emphasize enough the need for strong forensic medical evidence in order to win difficult cases. If you have a claim for service connection based on personal assault or military sexual trauma, or the VA has recently denied your claim, or you have any questions about how to claim denied benefits, I invite you to contact our veterans' disability benefits law firm to determine if we can help you.